The North Korea issue is putting pressure on USD. EUR’s power strongly depends on Draghi’s press conference. 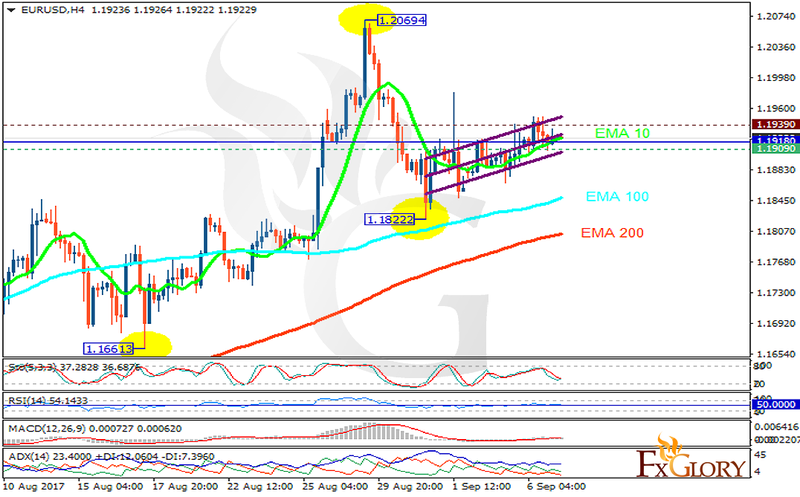 The support rests at 1.19090 with resistance at 1.19390 which the weekly pivot point at 1.19180 is located in between the lines. The EMA of 10 is moving with bullish bias along the ascendant channel and it is above the EMA of 100 and the EMA of 200. The RSI is moving horizontally on the 50 level, the Stochastic is showing downward momentum and the MACD indicator is in neutral territory. The ADX is showing buy signals.